For optimal acoustic performance when it comes to soundproofing, you need to look into soundproofing insulation. It is a special type of soundproofing material because it works by creating an acoustic barrier that prevents sound from traveling any further. So, if you’re interesting in stopping the type of noise leakage that results in sounds traveling from one room to another in your home, an insulation barrier is the noise-absorbing solution that you’ve been looking for all this time. Soundproofing insulation is perfect for homeowners who are remodeling or finishing up a new build and want optimal soundproofing in the house. The end result is a home that gives you the ultimate quiet oasis and privacy from annoying outside noises. If you are seriously considering soundproofing insulation for your walls and ceilings, you will find that it is normally made of mineral wool. However, some manufacturers list it as “rockwool,” which is the same thing. Other materials that it can be made from include fiberglass, cotton and cellulose. For the best results when soundproofing a room, we suggest you stick with rockwool or mineral wool rigid panel products. As you browse the available soundproofing insulation on the market, you’ll find that it comes in either the rigid panel style or the softer batts style. One important thing to keep in mind is that although these products are considered insulation, they are not recommended for attics or exterior walls because they’re not just thermally efficient. Instead, stick to ceilings, floors and interior walls when installing these products. If mineral wool is your preferred type of soundproof insulation, then there is really only one brand consistently serving the residential market with good high performance mineral wool. That brand is Roxul and right now they are the best soundproofing insulation brand on the market. Their Roxul Safe’n’Sound product offers probably the best value for the money right now. It is affordable, has the best frequency rating on the market and is designed for indoor residential use. Their mineral wool products are moisture, water and fire resistant as they are made with natural stone fibers. The only problem with Roxul Safe’n’Sound is actually finding a retailer who sells it! If you’re interesting in some soundproofing insulation that can be used anywhere in the home instead of just the interior walls, then consider some good multipurpose mineral wool. It is almost as good as the high performance products, but the real benefit is that you can use it anywhere – including exterior walls. For high frequency sound absorbing, go with the Rockboard 60. For absorbing low sound frequencies, stick with the Rockboard 80. As for the acoustical fire batts, or AFB, you’ll find it is a low cost soundproofing insulation product that is very flexible and soft, and best used for framed or covered panels. 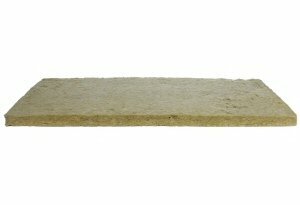 If you’re looking for the cheapest type of soundproofing insulation, then you have found it! With cotton soundproofing insulation, you get decent sound absorption capabilities and a very affordable price. Since the cotton is soft, it comes in a batt, which means you need a covering or frame for support. Overall, I think this is ideal for smaller soundproofing projects, like if you want to DIY some acoustic panels for a home recording studio. 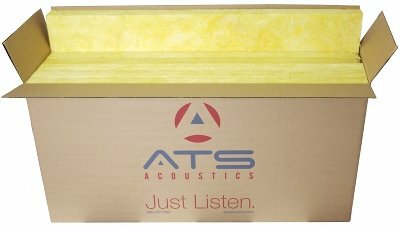 Right now, the best product I’ve found when it comes to cotton soundproofing is the Applegate Acoustical Cotton Batts. Now that you know about the different types of soundproof panels on the market, it’s time to think about installing them. For most people, this is something that you can do on your own. However, if you have never done any home remodeling, then you might want to consider bringing in a professional to help you out. There are plenty of local insulation experts who have experience with installing soundproofing insulation in homes. When buying the panels, you need to know if the home has wood stud walls or steel stud walls. This is because the panels are sized differently for the different types of stud walls. For the steel stud walls, you’re normally looking at 16.25” x 48” x 2” in panel size. And for the wood stud walls, you’re looking at a typical panel size of 15.25” x 47” x 2”. When you buy the fiberglass or mineral wool soundproofing insulation, it comes in packs of multiple panels, which is very affordable. Overall, these are high quality and have good tolerances, regardless of the brand that you end up buying. They are designed to fit snugly and securely between ceiling joists and wall studs. As you install the panels in the wall stud cavities, they don’t leave any air gaps because they are designed to form a good friction press fit. This means no worries about sound leakage into neighboring rooms. Each panel is between two to three inches in thickness, but can easily be shaped around any pipes or wires that are obstacles in the wall stud cavities or ceilings. A good drywall saw is an easy way to get a precise notch cut into the panels for optimal fit around the obstacles. Once you’re done installing all the soundproof insulation panels, you won’t need a vapor barrier. Just hang your drywall and you’re good to go. You can even use standard drywall instead of soundproof drywall, if you want to do that. If you are trying to decide if mineral wool or fiberglass is the better insulation material for your home, then let me take a moment to tell you a little about the differences between the two. I tend to prefer mineral wool, but I’ll let you decide for yourself. When you compare the insulation values, it is clear that mineral wool has higher insulation values compared to fiberglass. For instance, if you have 2×4 stud walls, you can get fiberglass in R11 or R13 but mineral wool in R15. And if you look at getting batts for 2×6 stud walls, you’re looking at R19 for fiberglass and R23 for mineral wool. That’s quite the difference, eh? Mineral wool is easier to install since it friction fits whereas fiberglass is limp and has to be stapled into place to prevent slumping and air gaps. Cutting the insulation to fit odd shaped spaces is easier with mineral wool as you only need a serrated knife to get a clean cut. It is more of a challenge to get a clean cut with fiberglass. If you want to get a more in-depth look at the differences, then I suggest reading this article. And, for my final thoughts, I suggest checking out the video below.